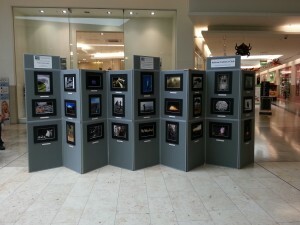 Arklow Camera Club is delighted to announce our annual photography exhibition which will be held in the Bridgewater Shopping Centre, Arklow over the weekend of the 1st – 3rd of November inclusive. This will be the second year running that the folks in Bridgewater have allowed us to exhibit for which we are extremely grateful. The exhibition will consist of member pictures covering a vast array of subjects. From landscapes, portraits, wildlife and fine art not to mention black & white and colour so we’re sure there is something for everyone! The exhibition will be manned by club members for the duration of the exhibition. So why not take a break from the shopping, grab a coffee and pop over for a browse and a chat. 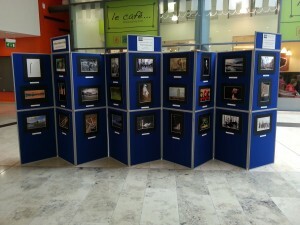 Well guys, its been agreat exhibition – i have spent some of today and yesterday down watching people of arklow comment and view our photography. It has been brilliant to see so many people out looking at the images and commenting so positvely on the work displayed there. Well done to all members for your hard work and creativity. Now we will wait to see which image was the peoples choice!